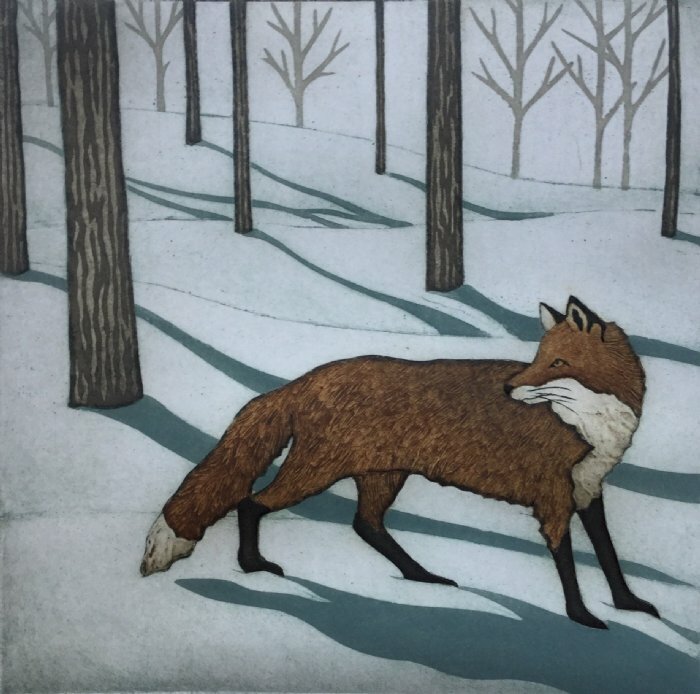 Limited Edition collagraph print by Kathleen Buchanan. Print is 12 x 12". Framed in a 1" charcoal metal frame. Framed size is approx. 21" high x 20" wide.